Creation: The parure was made by C.M. Weissshaupt in 1840. It uses 26 emeralds King Christian VI gave to Queen Sophie Magdalene in 1723 and 41 emeralds that belonged to Princess Charlotte of Denmark. 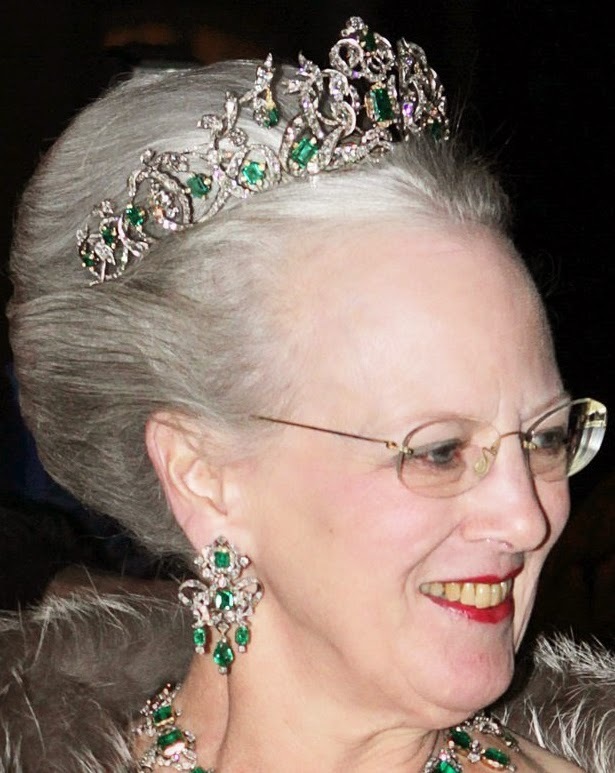 Queen Caroline Amalie left the parure to the Danish Crown Jewels which means that it cannot be taken outside of Denmark or be worn by anyone other than the queen. 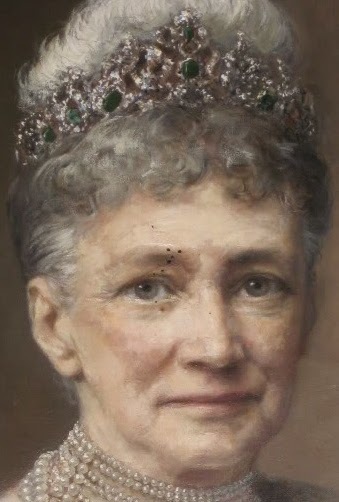 In 1914, Queen Alexandrine had the Crown Jewels sent to Rosenborg Castle where they can still be viewed by the public. 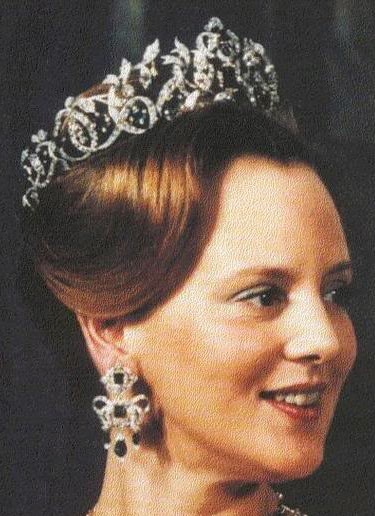 Did Queen Louise or Queen Alexandrine ever wear the tiara? 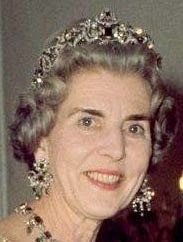 Are there any pictures of Queen Caroline Amalie wearing the tiara?